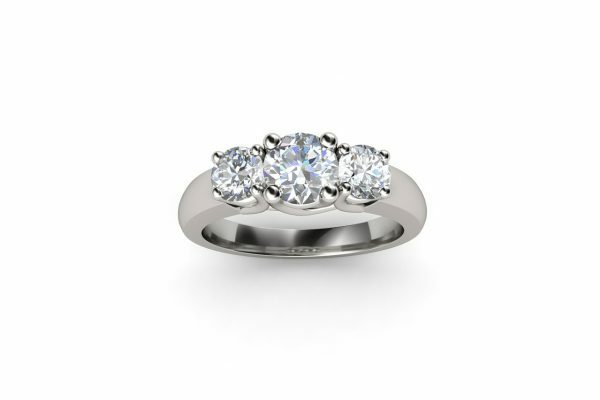 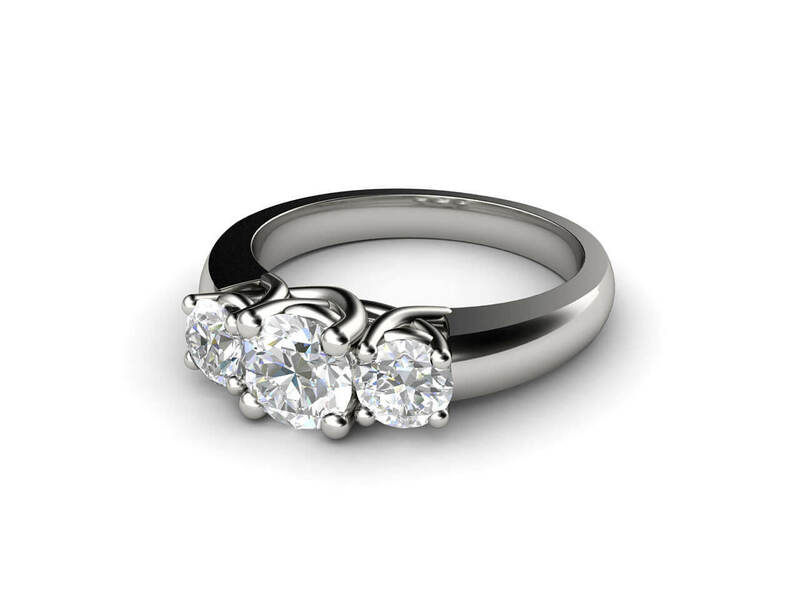 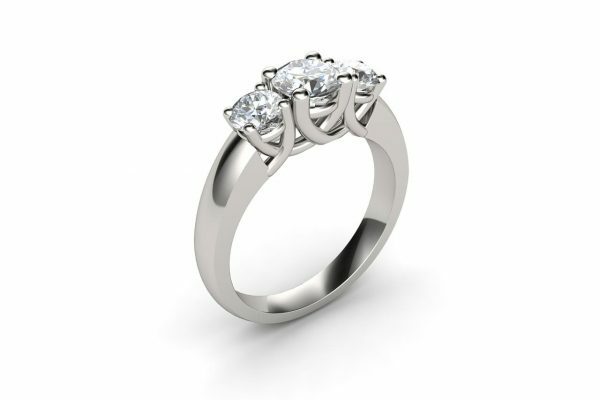 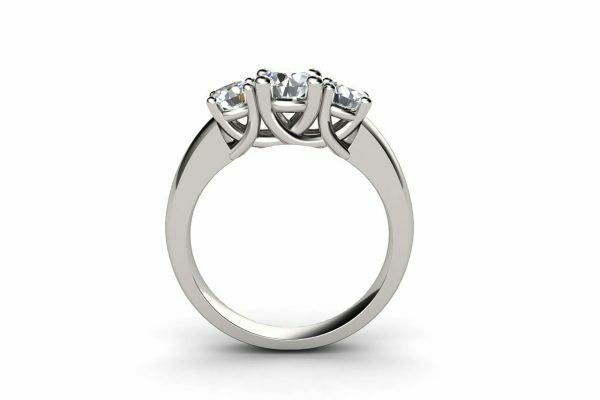 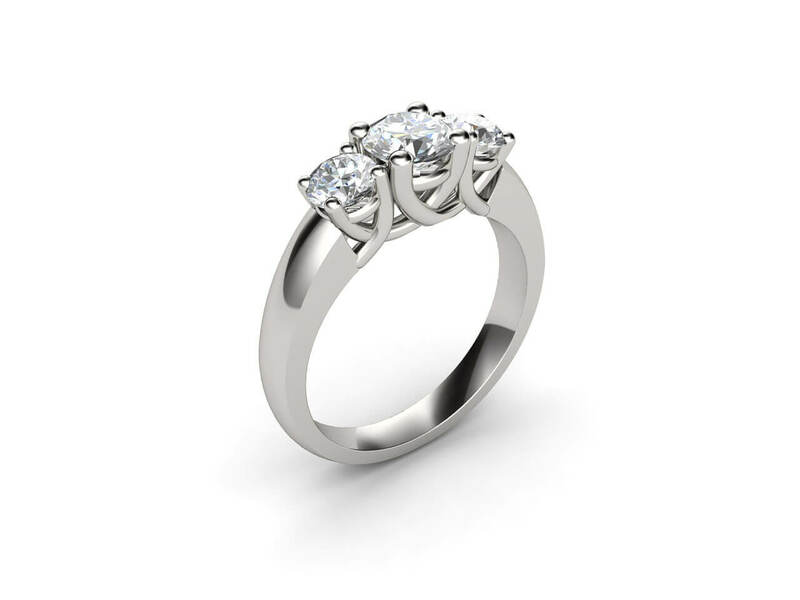 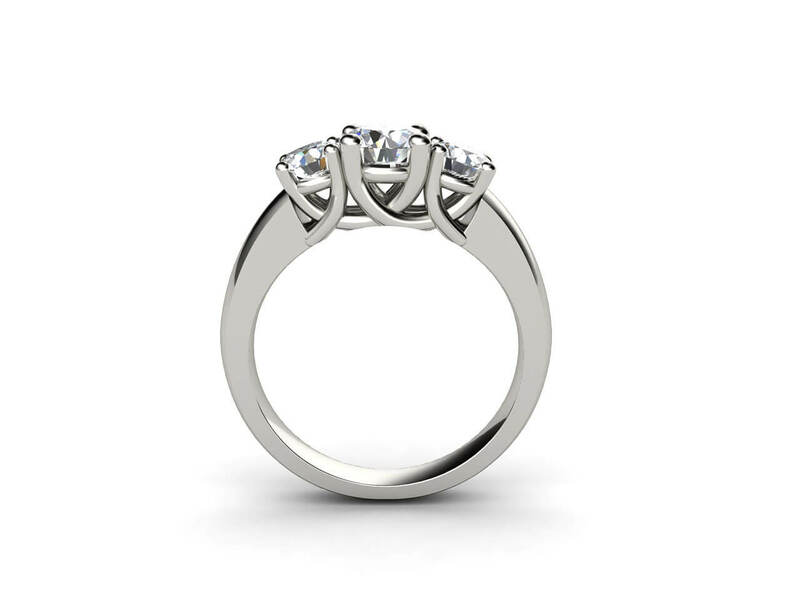 This lovely three stone engagement ring features a cross-over claw set. 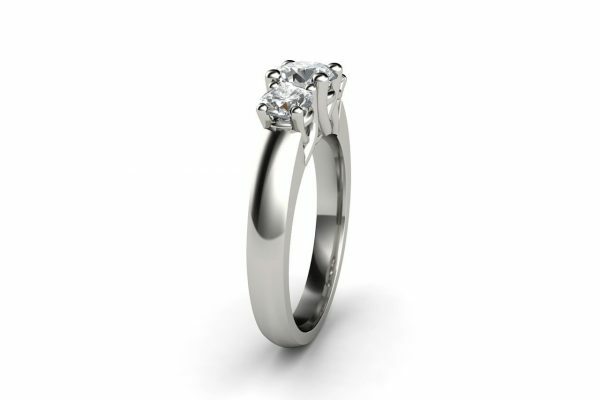 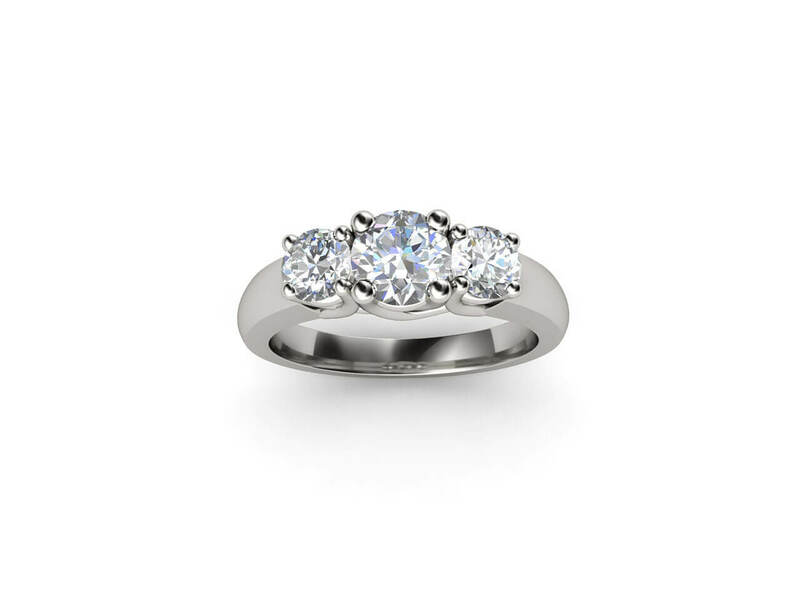 The three complementary diamonds at its heart can be in various sizes, while the band can be of 18k white gold, in two-tone (white setting/yellow shank) or platinum. 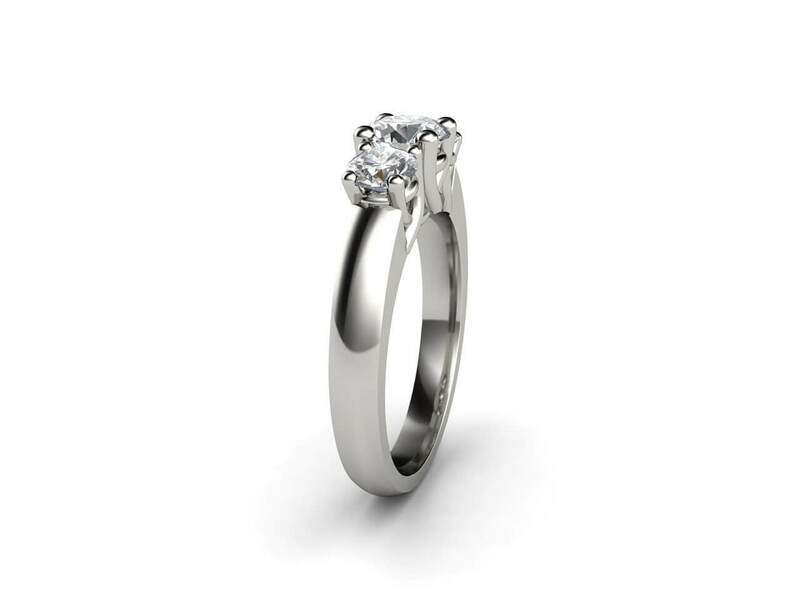 Alternatively, opt for sapphires, rubies or other precious stones.